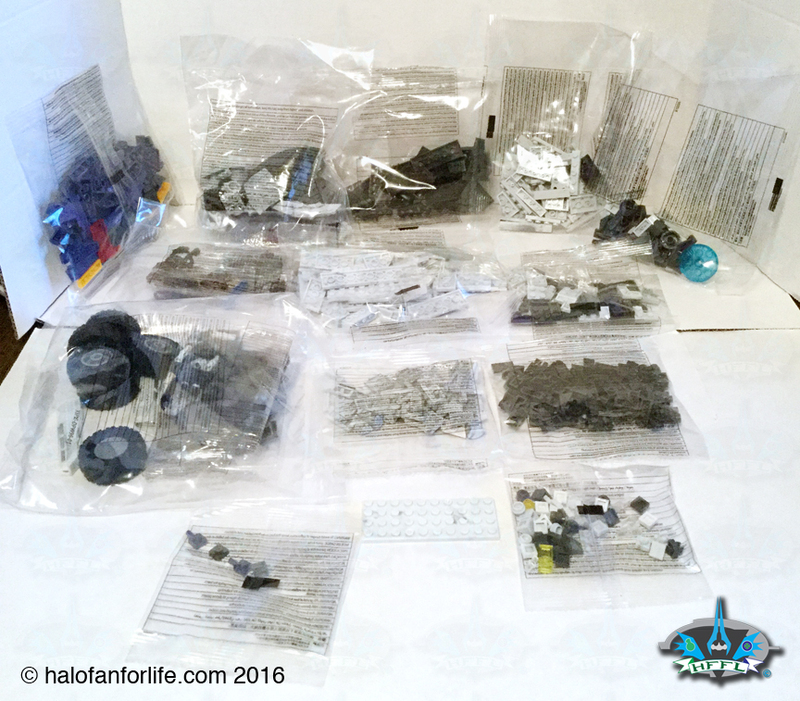 Build Time: Sorting pieces 30 minutes; Build time2 1/2 hours. Your time may vary. The box art has a neat looking action shot on the front. On the back you can see how some of the sections of the set pivot and turn. You get a bunch of bags to sort in this. As well, beyond the directions, there is an addendum sheet. I’ll get to that later in the review. Here are all the bags. 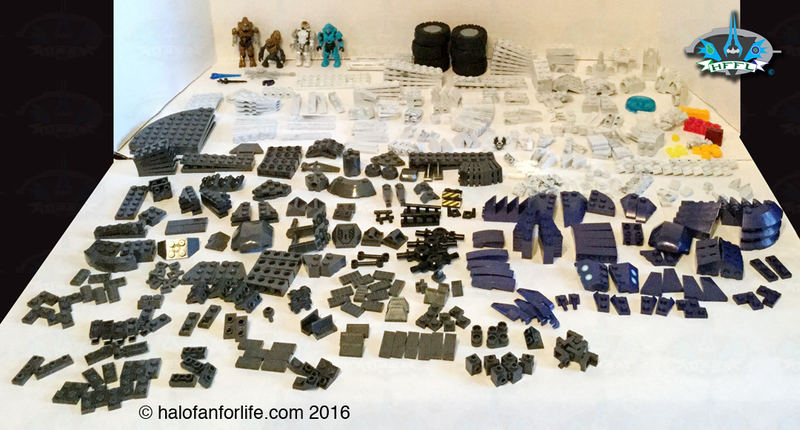 And here are all the pieces sorted out. 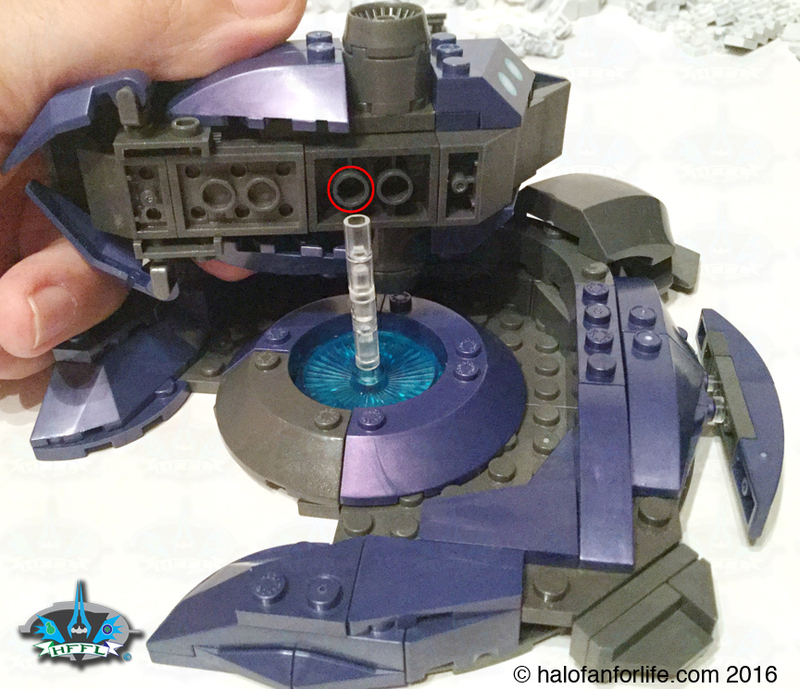 The base of the turret starts out as 3/4 of a circle. The addendum sheet shows just a couple of different parts used from the priginal directions. It’s pretty minor really. 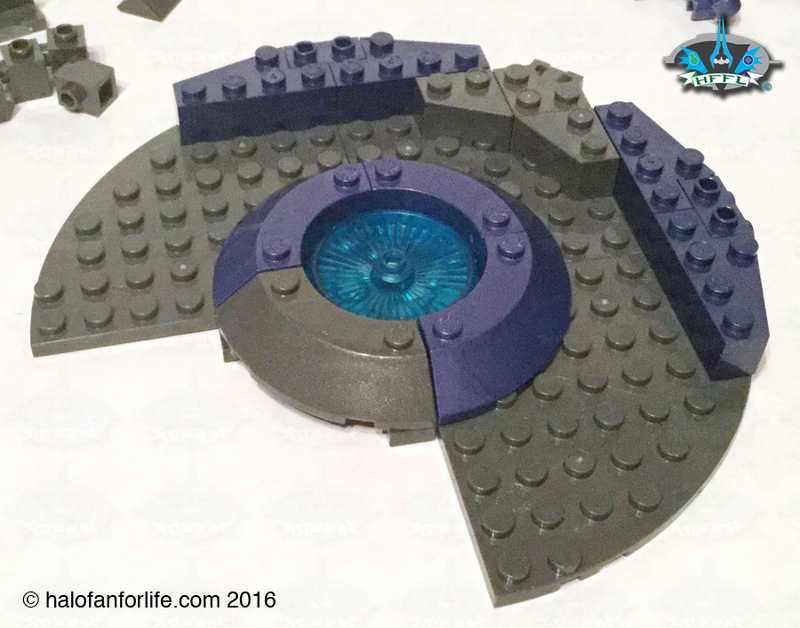 Here is what the base of the turret looks like finished. A nice amount of the indigo color bloks are in it. I’ve really enjoyed the change from the previous plum Covenant purple to this darker indigo color. Next, comes the top part of the turret. Tell me that doesn’t look like an Elite head when done? Okay, so now I get into the vehicle build. 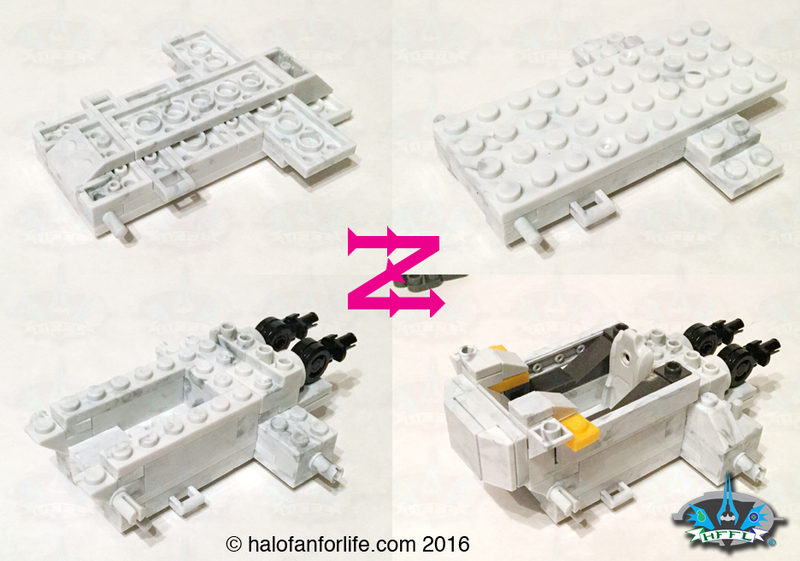 We start by building the pilot carriage. 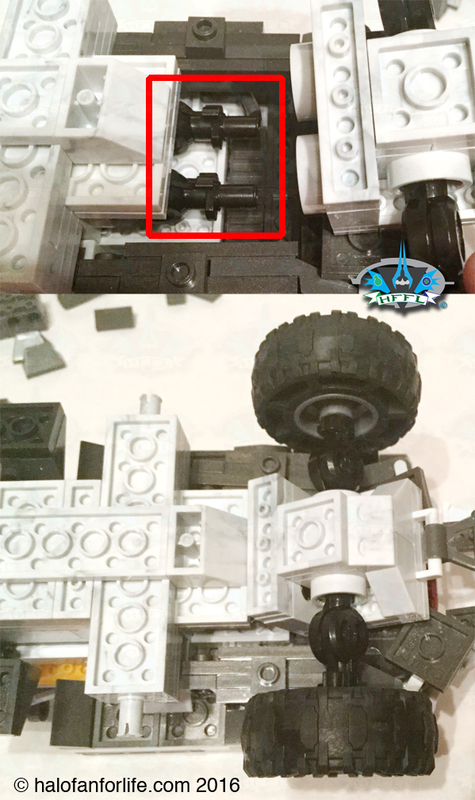 The two black prongs sticking out the back will be for the rear wheels to attach to. Next we build the top rear section of the Cobra. The join the two section. So far so good. No build issues. We add on the cockpit hatch and side stabilizing legs. As you can see those legs fold up against the vehicle. 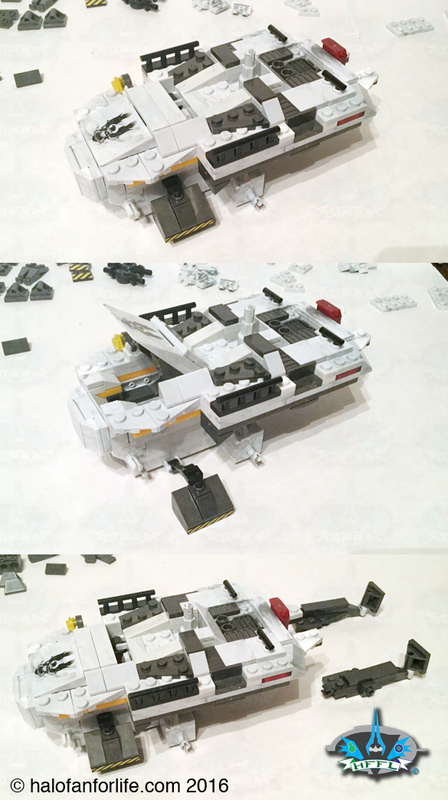 The rear stabilizing legs are built. 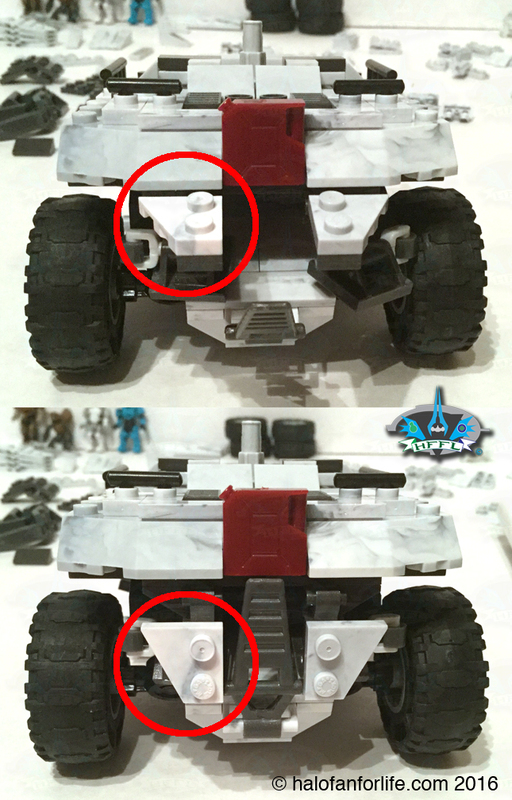 Let’s take a closer look at how those rear legs join to the Cobra. 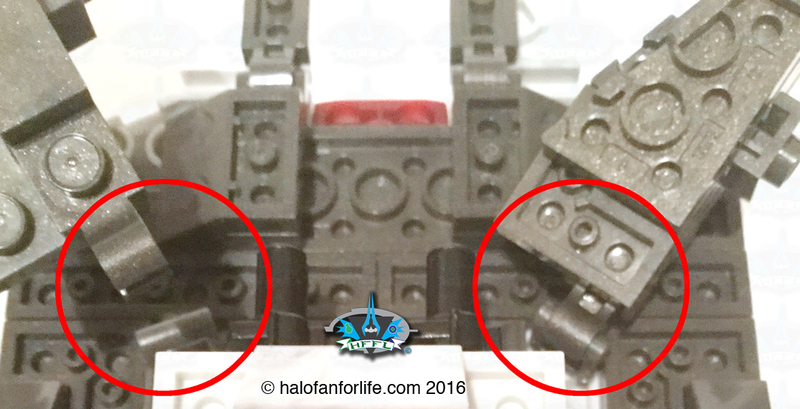 There is a clip on the leg that attaches to a pin that is just behind the middle set of wheels. The bottom third of the graphic below shows the correct position of the legs in their ‘stored’ position. When you want to bring them out to their stabilizing position, you remove them and clip them on to another set of pins that is much closer to the rear of the vehicle. As you can see, those pins are at an angle. As mentioned earlier, the rear prongs for the wheel. 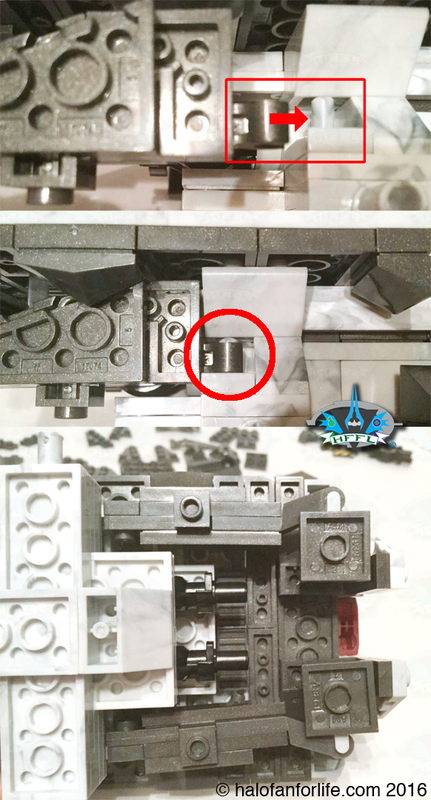 The back wheel section attaches to the prongs at a slight angle. I highly suggest pivoting the prongs up first, before you tyr to insert the rear wheel assembly. If you don’t you might end up popping off some bloks from the assmebly and have to put them back together again. 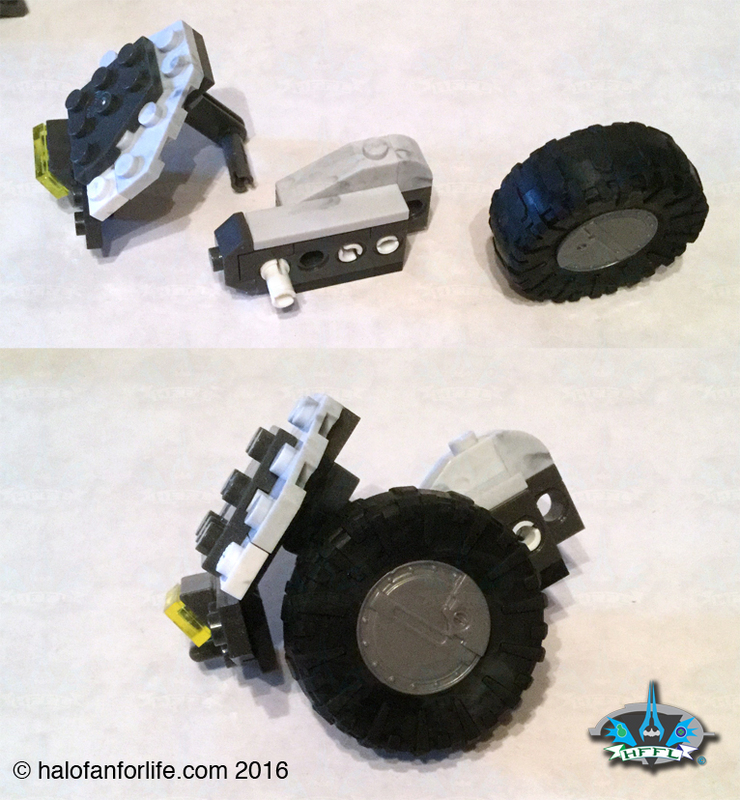 The rear of the Cobra has a few movable parts. For lack of better words, lets call them mud flaps. At this point, you’ve got a lot of the Cobra built. This reminds me quite a bit of the Mako from Mass Effect! Next we build the front wheel assemblies. The armor bits pivot up and down. Normally they are in the up position when driving the Cobra and the down position when in stablized mode to protect the front of the ship from gunfire. I need to make note to you that this Cobra is not electric, as the first one was. 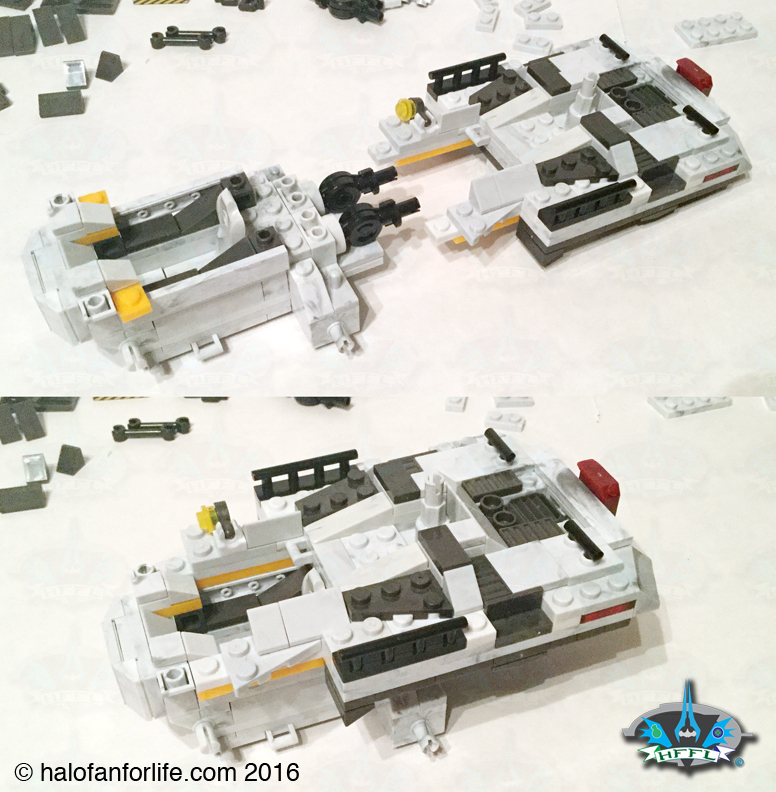 So the build in the section differs from the orignal Cobra. 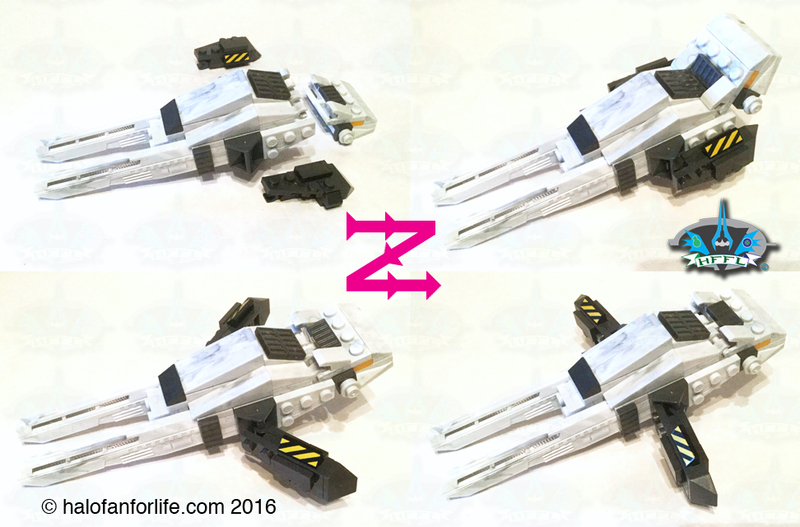 Once done, you can rotate out the side flaps. Here the Cobra is finished. 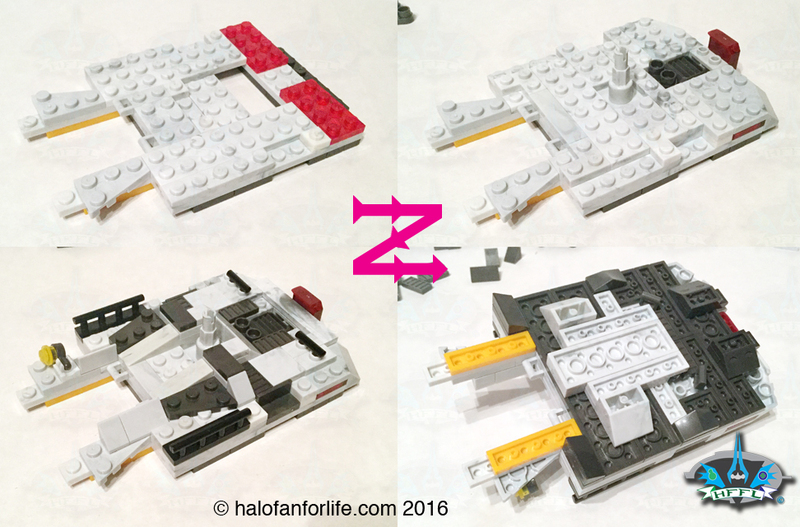 Also, make note that to get a figure in and out of the pilot seat, you must first turn the turret to the side, so the hatch opens. We get both a Storm Elite and a Grunt Minor in Bronze color. I really like this style of marine. The color looks great for it to be identified as an Cold Weather uniform. Spartan Copperhead. This is nearly the same figure as Vale form Fireteam Osiris. Beyond the obvious color difference though, this Copperhead comes with shoulder armor, unlike Vale that does not. Here are the weapons included. I’d have liked for them to have some paint detail on them. No biggie though. 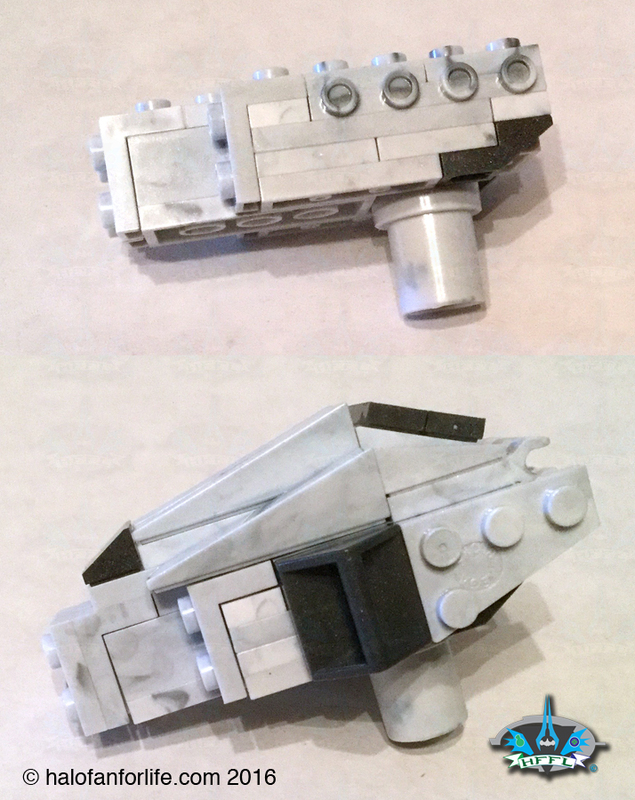 There were a few remaining parts. Into the parts bin with them! And finally, the whole set completed with figures on stands. The only thing I didn’t show is that the cannons on the Cobra do indeed come off and can be put into the more solid central cannon position. Summary: This is an easy build. 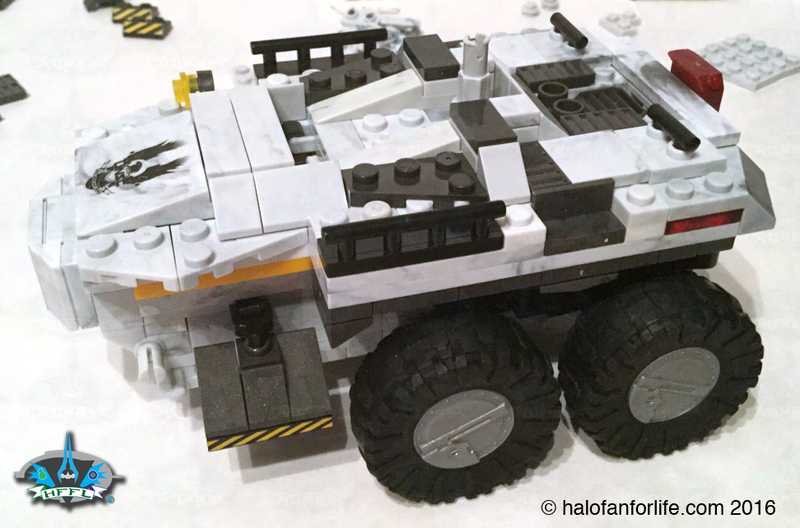 If you have the original Cobra set, this build is going to be very familiar to you. 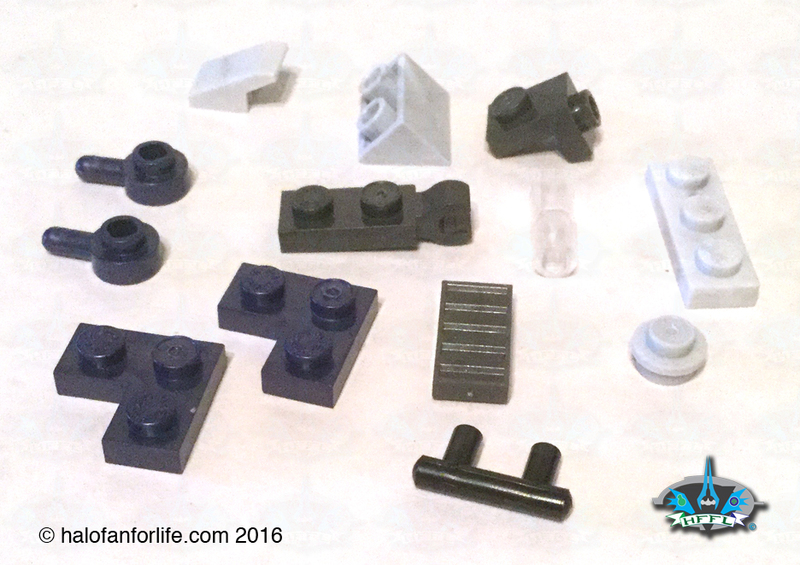 A good range of moving parts makes this set have some good replay value. 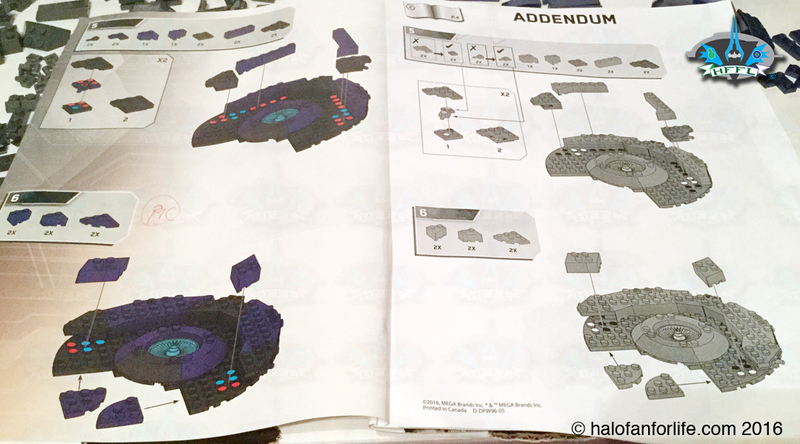 The Covenant Turret is a nice addition to the set and helps build up your Covie Base units. • Okay, first, one reason I didn’t give it a 10 is because this isn’t really a set anyone was looking to see come out again. 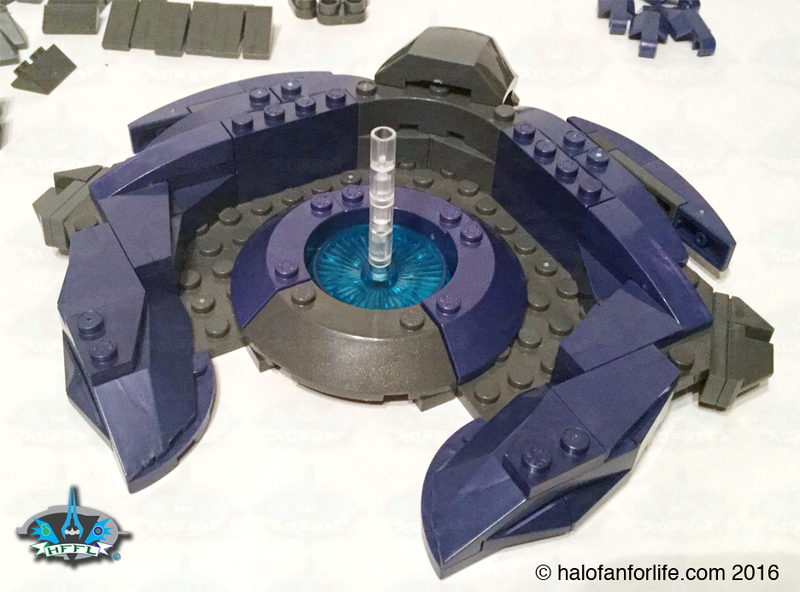 The redeeming thing though is the Covenant Turret, which could have come with new set. • The only other knock down for points is that this isn’t electronic like the first set was. Other than those, it’s a solid set. If you never got the Cobra, then you should definitely get this one! Value: The price of $60 is an okay value. While the set does adhere to the unwritten rule of 10 cents per piece, the fact that the Cobra isn’t electronic anymore detracts from its value for those who do have the original set. As well, the Cobra itself isn’t a $60 set. 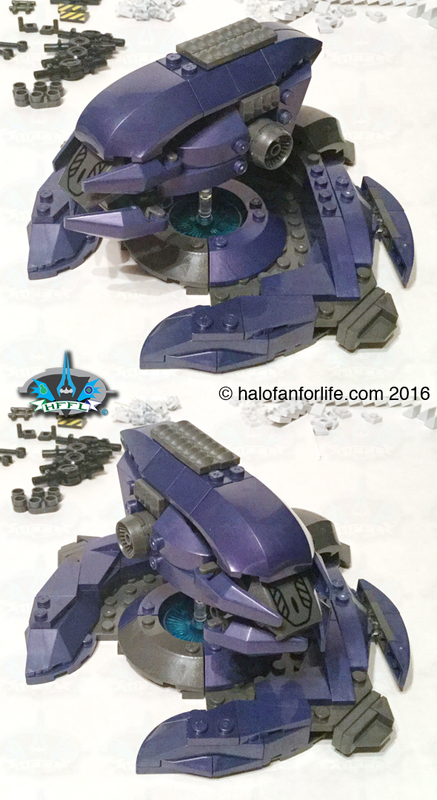 Adding the Covenant Turret is what brings it to that price point. While I do very much like the Covie turret, I again affirm that it should have come in a new set, rather than a (sort-of) rerelease set that many fans weren’t clamoring for. So parts wise, it’s worth it. What those parts make up though? Not so much. 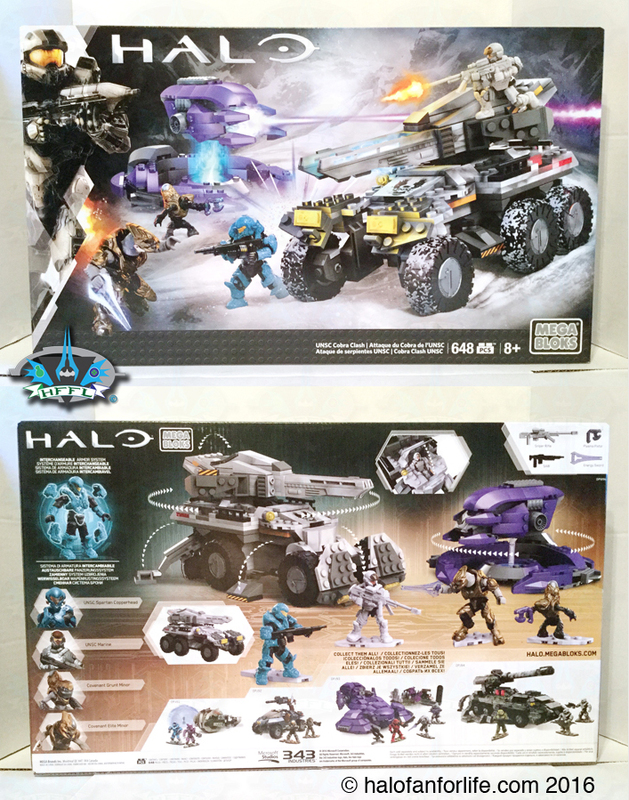 I’d have rather seen this set go for about $10-15 less, still including the Covenant turret. 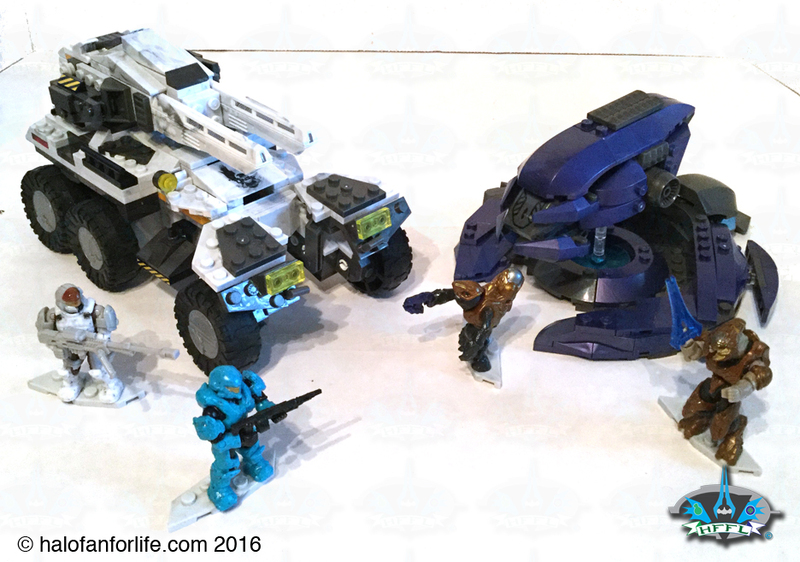 If the set didn’t have that, then the Cobra itself is worth about $35, IMO. Do I recommend it? Yes, to those who don’t have the original one. Maybe to those who do. For me, I had to own this for the Covie turret. I was on the fence about this set before, now I think I’m going to wait for a sale. I do really want that turret, but have no interest in another Cobra. 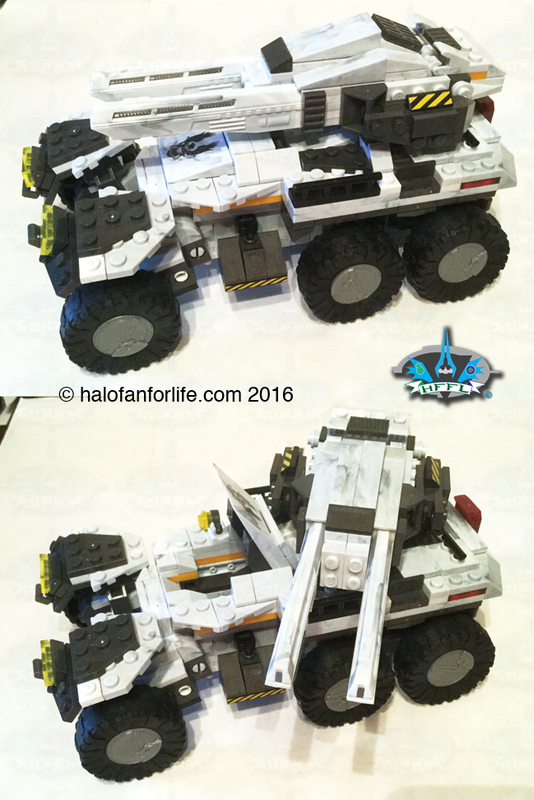 I’m sure I could use the chassis and wheels to make a trailer for the truck from the Drone set, but that’s just not worth full price to me. This was definitely helpful being able to see it all in detail though. Glad I could be of help, Kev. That’s why I do these reviews.